Does the Acoustic Centre have a real store that I can visit? You can also email us at info@acousticcentre.com.au or call us directly on 03 9699 5691. Why should I buy from the Acoustic Centre? Acoustic Centre is Australia's only dedicated acoustic guitar store. We offer expert advice and guidance in getting you the gear that you need. Unlike most stores that like to list every guitar under the sun on their websites, but only actually stock a couple, we keep over 350 hand-picked acoustic and hollowbody electric guitars in stock at any one time, as well as resonators, mandolins, banjos, ukuleles, amps and countless accessories. We are dedicated to the same thing that you are... Acoustic guitars! Yes, we ship everyday to all over Australia using courier services and Auspost. Everything is fully insured and carefully packed to our strict standards. We offer FREE FREIGHT on orders over $30 to most destinations. Occasionally due to issues with delivering to remote or unusual destinations, we aren't able to offer free postage, so we do reserve the right to retract the offer if freight costs exceed 15% of your purchase. We will always notify you if there is an issue and offer a full refund or arrange alternative delivery options. Why does it say "Incoming Soon" on a product page? Stock on many instruments is unfortunately limited. Often when we sell a product we are forced to wait on more production to arrive instore. If you see a product with 'Email Us for Availability' or 'Incoming Soon' please shoot us an email or give us a call and we will find out when the next item is incoming. 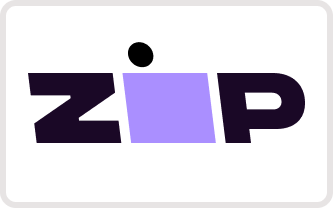 You can pay using your credit card, PayPal, funds transfer or via our partners at Zip Money. Zip Money offers 6 months interest-free on purchases over $1000, and 3 months on purchases under $1000. For more information, please click here. And please don't forget to send us a remittance to info@acousticcentre.com.au! How do I make payments on my order or layby? Simply email us with the amount that you want to pay towards your layby or order, and we will generate an invoice for you and send it to you. You can simply pay this invoice via our website using your choice of payment method. As soon as your order is dispatched, we will send you tracking details so that you can track it via the courier or Australia Post's website. If there are any issues, please email or call us and we will follow it up for you. No, unfortunately we simply do not have the space to accommodate teaching rooms. We have a list of recommended local teachers on the 'Tuition' page under the 'Info' tab on this website. Does Acoustic Centre accept Trade-ins? Occasionally, we will accept trade-ins against a new instrument in our store. Please email us photos of your guitar and we can get back to you with a trade-in value. Can I sell my instrument at the Acoustic Centre on consignment? Yes, we often sell instruments on behalf of our customers. We take a 27.5% commission off of the sale price, which includes GST. Please note that we are selective in what we take as consignment instruments, so please email or call us the with the details of the instrument and we can take a look. How come you guys are so helpful? We are just good blokes trying to help you out on your guitar journey! But if you have had a great experience with the Acoustic Centre, why not leave us a review or tell a friend?